Like Macy's and Belk, Boscov's is a member of the centenarian club, the chain of family-owned department stores having been originally founded by Solomon "Sol" Boscov in 1911. Under the watch of Sol's son, Albert, Boscov's grew, today consisting of 47 locations across the eastern US, with stores in Connecticut, Delaware, Maryland, New Jersey, New York, Ohio, and Pennsylvania. Selling everything from apparel and shoes to kitchen goods and bedding, Boscov's has a lot to offer its shoppers. Those who frequently take advantage of those offerings can make the most of them with the Boscov's Credit Card, but that's where the card's usefulness ends. As a closed-loop store card with a high APR and rewards that barely compete with most rewards cards, the Boscov's Credit Card is a hard sell for most consumers. 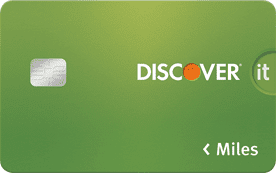 The Boscov's Credit Card is a store card good only at Boscov's locations or for making purchases on Boscovs.com. Which is probably a good thing, considering the card's high 27.24% APR that makes carrying a balance from month to month an expensive idea. At the same time, if you're trying to maximize your rewards, you'll need to put a fairly significant amount of spending on your Boscov's Credit Card, as the rate at which you earn rewards will depend on your annual spending — and you may not earn any rewards if you don't spend enough. Specifically, you'll need to spend at least $300 at Boscov's to start earning rewards certificates. Once you reach the minimum spending requirement, your Basic status will be upgraded to status as a member of Mr. B's Ambassadors Club and start earning 1% back in Boscov's rewards for purchases up to $1,499. To reach the next level, Mr. B's Star Club, you'll need to spend at least $1,500 each year, and you'll earn 2% back in rewards on purchases up to $2,999. Once you spend $3,000 or more in a year, you'll earn 4% rewards as a member of Mr. B's Premier Club. Boscov's rewards are redeemed via rewards certificates that can be used in Boscov's stores. New cardholders who apply online and are approved for a Boscov's Credit Card can receive 15% off an eligible online order. While you can pair a Boscov's rewards certificate with a Boscov's coupon for extra savings, be sure to do it quickly; Boscov's certificates expire 30 days after they're issued. Other perks of being a Boscov's cardholder include a special birthday offer and special offers in your monthly statements. You'll also be invited to exclusive cardholder appreciation events. Plus, earn double points on all cosmetic and fragrance purchases and earn 100 rewards points on a single purchase during each Boscov's Credit Card anniversary month. The majority of Boscov's Credit Card applicants will need at least fair credit for approval. While you can apply for a Boscov's credit card in your local store, the 15% discount offer is only available for online applicants. Use the link below to apply online. For big Boscov's spenders, the Boscov's Credit Card can offer decent rewards, but other consumers are more likely to only notice its limitations — like the fact that the Boscov's rewards certificates are much like the Boscov's Credit Card itself: only usable for Boscov's purchases. Furthermore, the requirement to reach at least $300 in spending before you can start earning may exclude a number of customers, and the low 1% and 2% rewards rates for the lower earnings tiers are easily matched — if not beaten — by the majority of open-loop rewards credit cards. And those rewards will be usable for purchases anywhere your card is accepted. 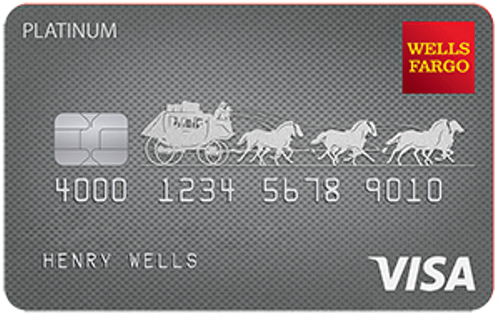 With options for cash back rewards cards available to cardholders of every credit type (even some secured and subprime cards offers cash back rewards), nearly anyone can earn at least 1% cash back rewards on their purchases, making almost any cash back rewards card comparable to — if not better than — the Boscov's Credit Card's lower-tier rewards. Even better, those with good credit can find a number of cards with unlimited 2% cash back on all purchases, as well as cards that provide even higher bonus cash back rates for department store purchases, giving you tons of options for better earnings (and better utility) than the Boscov's Credit Card. As lackluster as the Boscov's Credit Card's rewards can be, the card's APR is even less impressive, competitive only among other store credit cards and some subprime cards. Not only will the typical open-loop credit card provide a lower APR for most qualified applicants, but cards with introductory 0% APR offers can be used to make purchases with no interest for 12 months or more. For those who like to travel and want to maximize their credit card rewards, travel rewards can offer a lot of value, providing a simple way to earn free airline travel and hotel stays. And since the most basic travel rewards credit card will typically offer at least one point/mile per $1 — and frequently more — they can easily compete with the lower tiers of rewards for the Boscov's Credit Card. The general consensus of the Boscov's Credit Card is middling to poor, with many negative reviews centering on the card's issuing bank, rather than Boscov's itself. A number of cardholders have had trouble making payments, particularly by mail, and others are unhappy about spontaneous credit limit decreases. Is the Boscov's Card Right for You? Having served shoppers in the eastern US for over 100 years, Boscov's obviously knows how to keep its customers coming back — but the Boscov's Credit Card may not garner much loyalty. Lackluster rewards for all but the biggest spenders make the card anything but competitive for most consumers, and its high APR means you may regret spending so much on the card anyway if you can't pay it off in full each billing cycle. The long and short of it is that the Boscov's Credit Card is that it's worth getting if you spend $3,000 or more annually in Boscov's stores. For everyone else, stick to an open-loop rewards credit card that will help you earn rewards at least as good — and in significantly more places.